I’m a Dev. I spend my SharePoint time in Visual Studio and notepad. 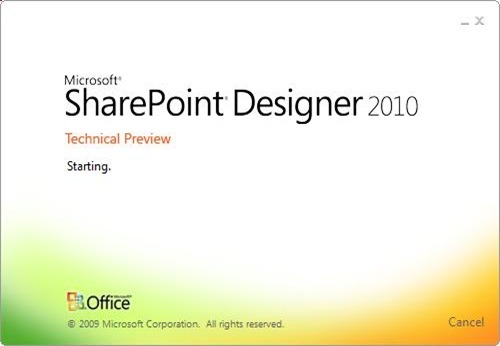 For me the spectre of SharePoint designer has always loomed but never been of much interest to me, it was and always would be the evil FrontPage and no change of name was going to make it any different. I feel the same way about marathon bars. Despite having had SharePoint in the company since 2003, user adoption isn’t great, sure there is a Portal and lots of team sites, and Farms popping up all over the place (its a big, big company) when I finally get to meet real end users there is not a lot of love for the product. Recently I’ve been getting requests for applications, copies of applications (all written in asp.net not SharePoint) which almost do the same job as the original but not enough to just clone it, but also the requirements are almost OOTB a SharePoint list. Users seem to hate SharePoint, well hate is a little strong, but dislike the interface and functionality so much that they would genuinely consider forking out for a whole new app with all the requisite dev/hosting/support costs associated with it. To save money for everyone I was tasked with making some tweaks to Lists to make the user experience better, but If I crack open Visual Studio then along comes a project with all the people and dev costs you would normally get, for not a lot of benefit on small amount of changes. A change of approach was needed, I knew it, boss knew it, it was time to rip the film off the designer box and start hacking away. Since then I’ve done a couple of demos projects and a couple of real world modifications to OOTB sites to make the users experience much more fluid a little less web page “refreshy”, more dynamic.